Over the last two weeks I’ve been posting these images. They’re all previews of potential My Cardboard life stories. I’ve put them all here so you can vote for whichever story you think looks the best (voting is closed now). Vote by commenting. You’re welcome to vote for more than one story if you like. I will write and make the most popular story some time in the next few months! Voting is now closed. I’ve counted everything up and I’ve written the results after the title names (see above). St Colin and the dragon is the winner with almost 20% of the votes! I will start writing the St Colin and the Dragon storyline right away. Hopefully it will not be too long before you get to read it. As for the other storylines… some of them may eventually get written as well. Thank you to everyone who commented and voted! My Cardboard Life - Christmas and New Year Schedule! How to pick only one?? Oh and also Red Robin Hood! Love the little boxlets. Oh my gosh there are so many that I love but Recyclost looks amazing! Haha or Granny vs Nanna because I mean if these are the grandmas or Collin and Pauline then hilarity is bound to ensue! I vote Red Robin Hood! Because those hats are simply adorable. St. Colin and the Dragon! St. Colin and the Dragon, for sure! Granny vs Nanna for the win!!! Cubz, St. Colin and the Dragon, Red Robin Hood! I vote for BIG DEAL! I vote for Recyclost and St Colin and the Dragon. Thanks for being awesome! Business Pauline is my FAVOURITE, so I’m for Big Deal ! St. Colin and the Dragon. Also, all the others. I like the look of recyclost! Recyclost looks swell. Also St Colin. Red Robin Hood or Granny vs Nanna! I vote for Recyclost and St Colin and the Dragon. Granny vs. Nanna, or Big Deal. They all look GOLD. But how could I vote from anything but Granny vs Nanna? That is the kind of story that, even in Real Life, keep us going home for holidays, reunions, and funerals! When grandmas clash the mountains ring and legends are born! Oh mi gosh these are awesome and hilarious teaser posters. Thank you for the daily chuckle and keep up the good work! Definitely Cubz, and also Doctor Delicious! I’m hoping this starts a late landslide for You’ve Got Moth, but if not I throw my hat into the ring for St. Colin & the Dragon. Mademoiselle Carton is obviously the best. I vote for Big Deal, Red Robin Hood, Granny vs Nanna, and Recyclost. They all look good, though! Hard to choose for me too. I’d have to go with Sir Colin & the Dragon and Red Robin Hood. I’m most intrigued by Red Robin Hood, Sir Colin and the Dragon, and Recyclost. St Colin and the Dragon! All of them! Don’t make me chose!!! I vote for Doctor Delicious! And also for Red Robin Hood! Cubz, Red Robin Hood, Unfriended, Granny vs. Nanna, and Doctor Delicious! Red Robin hood, Cubz, St Colin and the Dragon! Granny vs. Nanna for sure! big deal, st colin and the dragon, or recyclost. Do them all! But my favourites are Granny vs Nanna, Cubz and Recyclost. St Colin and the Dragon all the way! Recyclost, please! Alien landscapes forever. Recyclost and Granny vs Nanna, definitely! I already voted Granny vs Nanna (awesome!!!) but I also want to vote for You’ve Got Moth. Colin was so cute and funny with the baby spiders – I think the moth one will be great! Definitely Granny vs Nana, and Cubz! cubz or st colin and the dragon. It’s got to be Cubz. I nearly voted for the story about Colin fending off imaginary bugs in “You’ve Got Meth”, until I realised that’s not what it says. St Colin and the Dragon. st colin & the dragon, cubz, red robin hood, doctor delicious. I also love Mademoiselle Carton, Red Robin Hood and Cubz! These are all so cute! If I had to choose one…St. Colin and the Dragon. Either unfriended or St. Colin and the Dragon. Granny vs. Nanna is my number one, closely followed by St. Colin and the Dragon. St Colin & The Dragon or Red Robin Hood both look amazing! i vote Doctor Delicious my sis votes Recyclost! I support Colin, so St. Colin and the Dragon and Red Robin Hood! …but as for other characters, my vote is Doctor Delicious. Top three: Cubz, Unfriended (sniff! ), Big Deal. 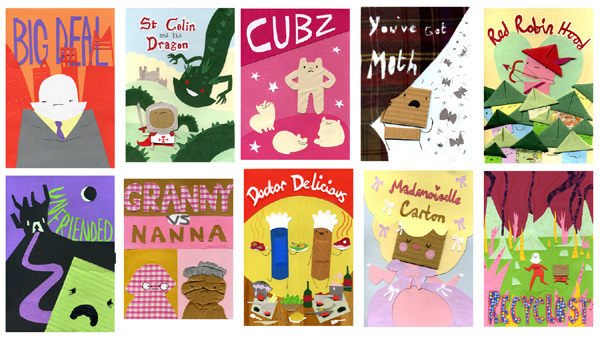 Colin and the Dragon, Granny vs Nanna, Recyclost, or Doctor Delicious! St. Colin and the Dragon looks fun! I vote for Cubz and Mademoiselle Carton! Cubz, Granny vs Nanna, or Unfriended please! Aaah so exciting, they’re all so beautiful!! CUBZ! And also St Colin and the Dragon! Also the dramatic Unfriended and the lovely Red Robin Hood! And Recyclost looks epic! Doctor Delicious or Red Robin Hood, please! St Colin and the Dragon, and Unfriended, please! granny vs. nana, you’ve got moth, and cubz. Definitely UNFRIENDED.. How come no one else wants to see that??? hmm.. probably because there would be no Colin and Pauline anymore and that’d be.. you know.. bad.. I guess.. people are scared.. and.. anyways.. let’s go for it! omg it’s so hard to choose, I want to read them all! but since there’s a vote … with a lot of effort … I will go for “You’ve got moth” because I like the whole suspence sort of feeling of the poster! thanks for giving us a laugh! Gosh, I hafta pick only ONE?! There are three I’d love to see. Big Deal, Red Robin Hood, and Mademoiselle Carton. Guess I’ll vote for Red Robin Hood. They all look so good! I am going to have to go with Recyclost and/or Red Robin Hood and/or St. Colin and the Dragon. I have to say Cubz. Baby polar bears? How could I say no? I’ve got to go with Colin and the Dragon, or maybe Doctor Delicious. Those look the best to me. I honestly don’t have much interest in Cubz, but I would read anything you put up because this comic is awesome! Sir Colin and the Dragon!!!! First choice is St. Colin and the Dragon. Second choice is Dr. Delicious. St. Colin and the Dragon!!! Or, second choice, Red Robin Hood, or Big Deal. Unfriended or Granny vs Nanna! Cubz or St. Colin and the Dragon. Back again to vote for something new-Doctor Delicious! St Colin and the Dragon, Doctor Delicious, and Recyclost! but I’d also love to see Recyclost, Dr Delicious, Cubz. Oh wow, i love them all! Cubz! Polar bear is the best! I really want to see CUbz, Mademoiselle Carton or Recyclost. 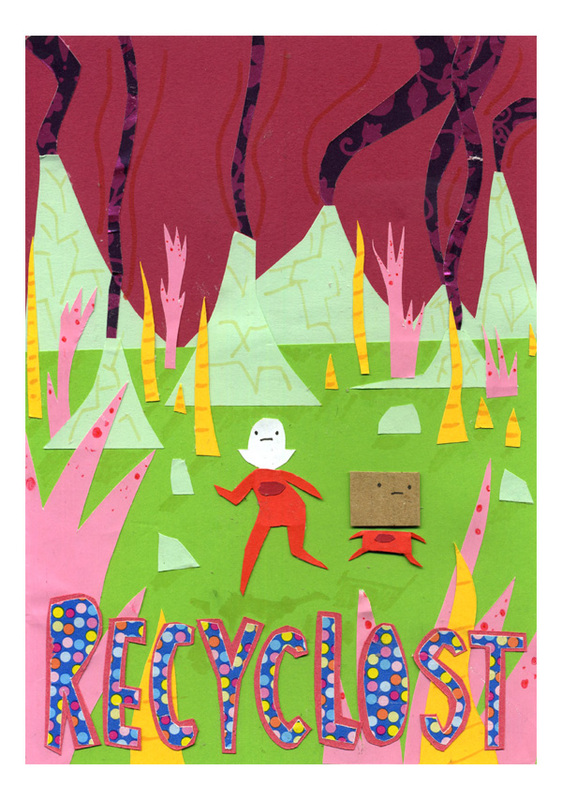 If Recyclost is actually a Sci-fi adventure then i give it bonus points. St. Colin and the Dragon would also be amazing! St Colin vs The Dragon! Unfriended or Red Robin Hood! vote for RED ROBIN HOOD or ST COLIN AND THE DRAGON or MADEMOISELLE CARTON!! Can I vote for two!? If not, S.t Colin & The dragon. If so, also Red Robin Hood. I love “Big Deal” and “Doctor Delicious” !!! Doctor Delicious, Recyclost, and St. Colin the Dragon! granny vs nanna! DO IT…. DO IT NOW!!! St. Colin and the Dragon!! 1) Doctor Delicious – Cooking & Romance? Bring it on! 2) Granny VS Nana – we hardly see the Nana & Granny in this comic. I uncerstand they’re already recycled, but still, it’ll be great if they win the vote! I’d say… Granny V.S. Nanna. Business Pauline in Big Deal. Coming out soon?